Lokar parts set the benchmark for the stop, shift, and go on our Project 1953 Bomb truck. 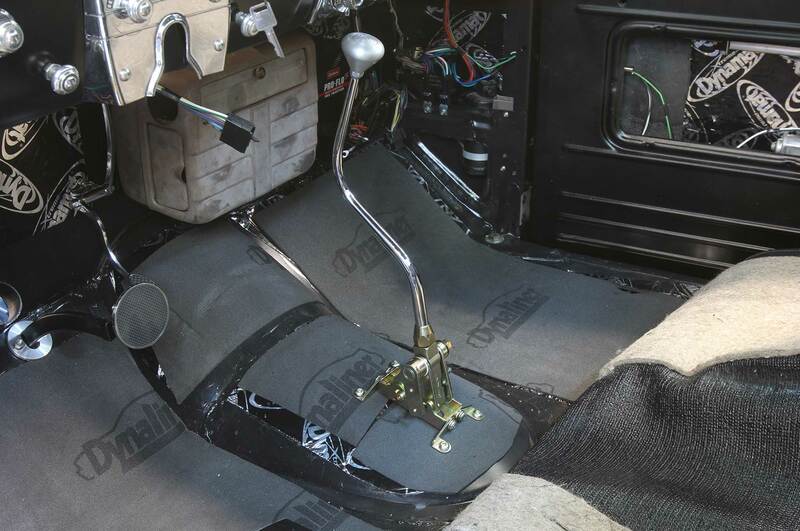 With freshly upholstered seats and door panels, the final step—and perhaps the most important part—is getting your shifter and gas/brake pedal combo refreshed. Now, we’re not talking about removing them and spray painting them, we’re talking about replacing them with upgraded units that are more reliable, more comfortable, and 10 times better looking than your factory units. 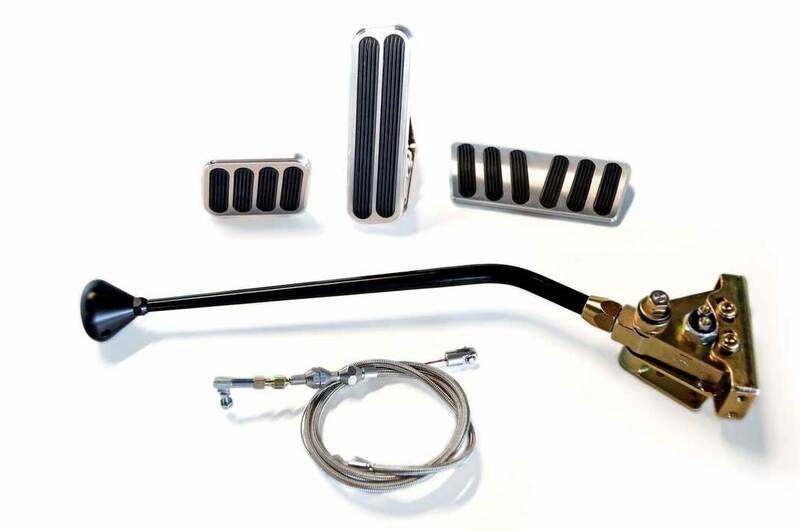 To do that, we decided to address these parts on our Project Bomb and we opted for an ensemble of parts from Lokar—the leaders in automotive aftermarket parts for domestic vehicles. All of their parts are made in the USA and they set the benchmark for excellence when it comes to their products, their people, and their passion for creating parts, which all come with a lifetime warranty. True to it and not new to it, Lokar has been in the business since 1988 and their products are found in the top contenders of vehicles from mild to wild, drag cars to show cars. Their name has become synonymous with excellence and quality; one look at their products will have you sold and one interaction will leave you a believer and lifelong supporter. 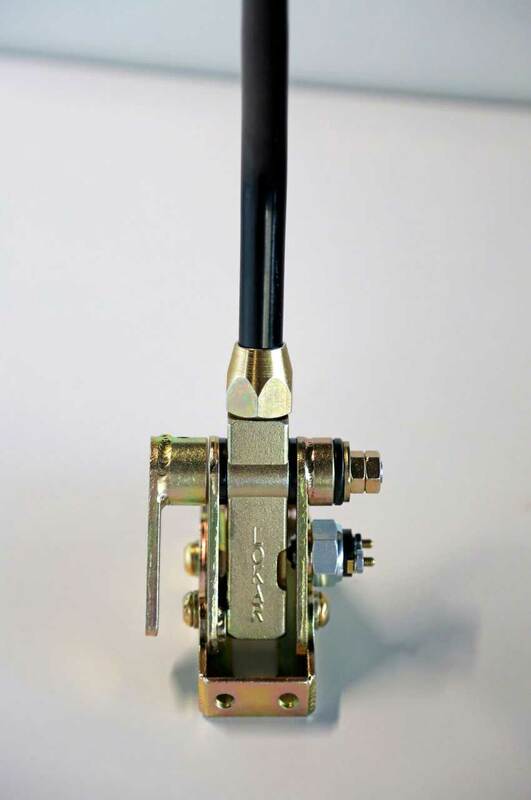 Lokar’s latest line of shifters now comes in all black under a product line they call the Midnight Series. These incredible-looking components are durable and sleek, and what you’ll find is that all aluminum parts are anodized while all steel parts are black satin powdercoated. The Lokar collection of shifters also performs as good as it looks and is designed to prevent accidental shifting from the Park position into Reverse, Drive, and low gears with their Exclusive Safety Lock-Out Button. 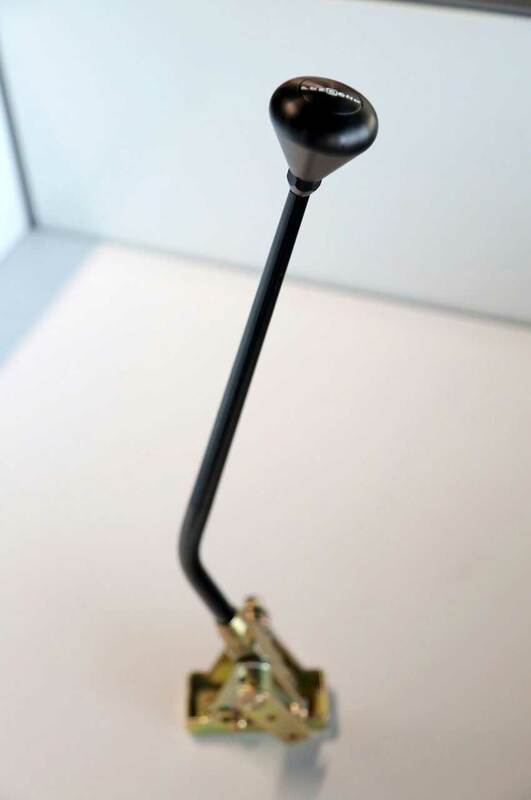 When adjusted properly, the Safety Lock-Out Button is flush with the knob and virtually undetectable. 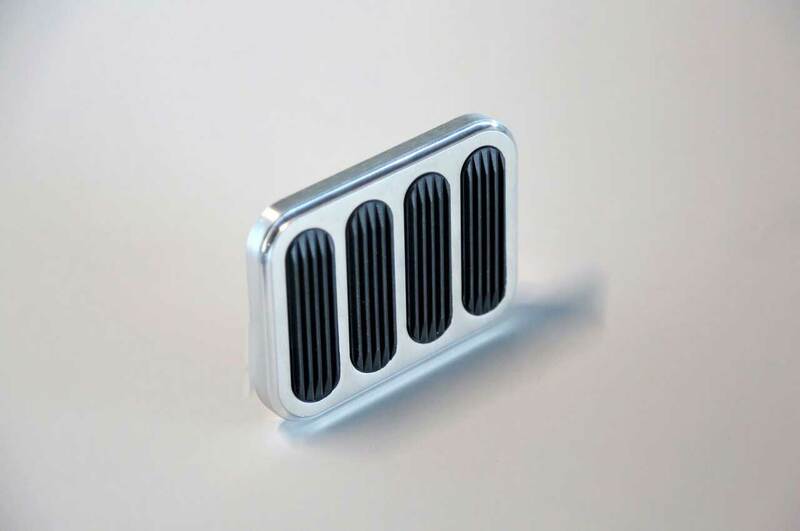 Lokar also prides itself in the design and versatile mounting capabilities of their shifters and with Lokar’s exclusive and innovative main plate and side brackets the shifters can be mounted in a number of positions front to rear, allowing the use of an existing floor opening or to create a unique location. Features include: Neutral safety switch, operates with solid adjustable linkage, high-quality rod ends, 360-degree lever rotation for extra leg space, lever adjustments for dash and seat clearance, Teflon-lined shifter knob buttons for smooth operation, easy-to-remove shifter knobs for simple boot installation, and gold-iridited main plate and brackets. 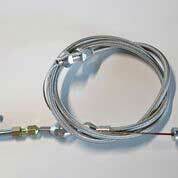 Lokar Hi-Tech throttle cables are the perfect solution for your throttle cable needs. They are available in stainless steel braided, black stainless steel braided, or black polyethylene housings. They are designed with a specially extruded liner for the extended life of the cable—not to be confused with ordinary braided brake hose. These cables are equipped with aluminum fittings and aluminum ferrules to eliminate fraying and feature a “U-Cut-to-Fit” outer housing and stainless inner wire. The clevises are designed without cotter pins or setscrews and adapt to factory and aftermarket pedals for easy installation. Each cable comes with installation instructions. 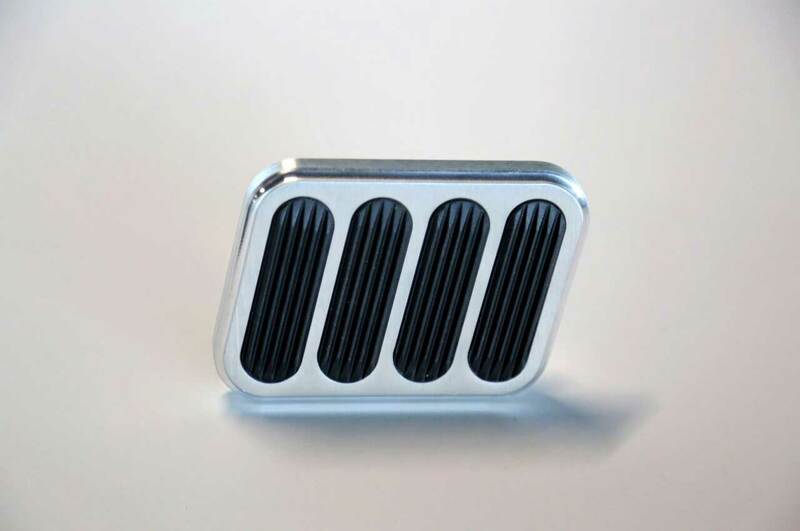 Lokar billet aluminum gas pedal assemblies are ball-milled and spring-loaded like the OEM design. 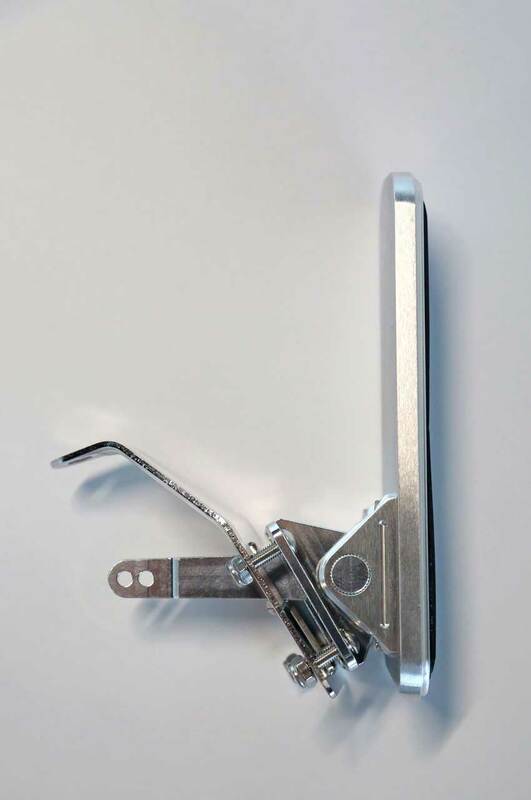 Their removable lower arm is splined for versatility in mounting them to the right or left of the mounting bracket, the upper arm is a one-piece design, and the shaft and arm are one-piece, requiring no pins. 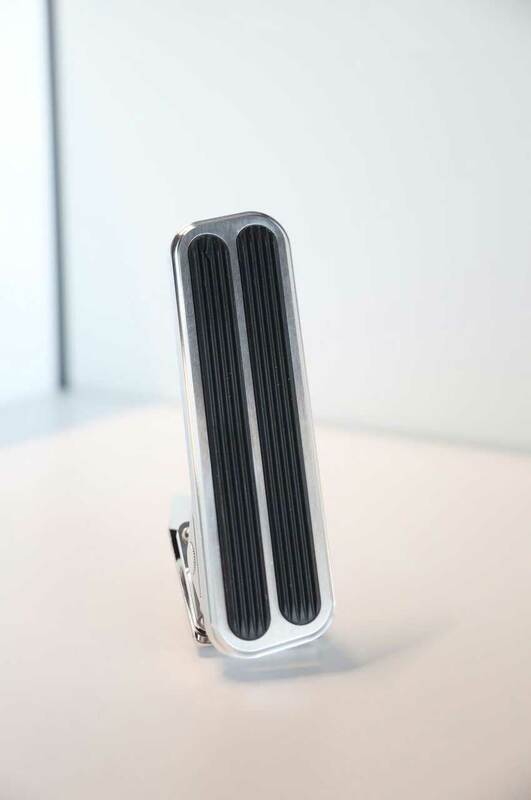 Measuring in at 3 3/4 inches wide by 2 3/4 inches tall, this brushed aluminum XL brake pedal from Lokar is the perfect complement to their floor mount gas pedal. Providing superior comfort and safety, the Lokar brake pads come equipped with rubber inserts and are designed with a 1/2×20-inch thread and includes a 1/2×20-inch stud in kit that can be mounted centered or off-center.